Multiple people were killed and several dozen injured after an employee at Excel Industries in Hesston, Kan., opened fire Thursday. 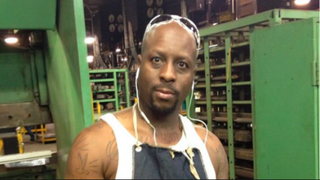 According to several news sources, the shooter has been identified as Cedric Ford, 38. Police have not confirmed the suspect’s identity but said that authorities killed the shooter. “There could be as many as three or four others [dead], and possibly up to 20 people that have been injured,” Harvey County Sheriff T. Walton told reporters, CNN reports. According to the news station, officers responded to several calls of a shooting at Excel Industries, which makes lawn-care products. The first call noted that a man had been shot while driving; another said that there had been shooting in the company’s parking lot. The last call reported that the shooter had entered the workplace. Sheriff Walton said authorities were still investigating the incident.